Ahhhh you guys, it’s live! Meet my podcast, Along for the Ride. It feels very surreal to even say that I have a podcast, as this is something I’ve thought about doing for such a long time. My plan was to launch it last summer, but life got in the way. I figured I’d get it launched while I was on Remote Year, so you would quite literally be along for that ride, but I was way busier than I imagined I would be. So here we are! I was catching up with my friend, Kate, in early February and she was pushing me to just pick a date and make it happen because life can always kind of get in the way. 31 is one of my favorite numbers (it’s my birthday and my favorite number 13 backwards) so I picked March 1st, or 3-1. I ran into a number of technical difficulties this last week and I got worried that I wouldn’t be able to make it happen by March 1st. I submitted it to iTunes / Apple Podcasts on Wednesday afternoon, crossing my fingers it would be live by Friday. I was riding the train home from SoulCycle on Friday afternoon when I got the email, your podcast was approved by Apple and will be live in the app in a few hours! Cue happy dance. And then all of the nerves came! I sent it to a lot of my friends and family and was basically on the verge of throwing up knowing they were all listening to it on the way home from work. I was racing out the door to a friend’s birthday party on Friday night so I didn’t have time to officially announce it here on the blog or on Instagram until now. When it comes to writing, I tend to wait to write about something until after it’s done. A blog post always seems so final, as if it’s written in stone. And since life isn’t always that linear, there’s been a lot of things that I’ve never really known how to write about here on the blog. Topics that I’m learning about, things happening in my personal life, etc. That’s where the name Along for the Ride came from… To me, it’s where I can bring you along in real time to discuss all of the things! 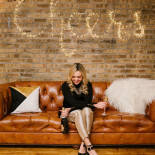 I know that Friday Finds is always a reader favorite here on the blog, and when I’ve sat down to think about it, it’s because it really is about all sorts of random topics that don’t necessarily warrant an entire blog post. It always touches on a little bit of everything… wellness, fitness, trends, spirituality, entrepreneurship, mental health, self-care, friends of mine doing cool sh*t, etc. And that’s actually exactly what the podcast is going to be about! Behind the Curtain, aka: the sh*t you don’t see on Instagram. 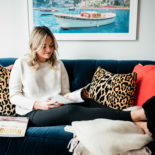 From personal stories surrounding friendship and family to an inside-look at what’s really going on in the blogosphere, considering this a place to chat BTS or off-the-record. Entrepreneurship. There have been many lessons I’ve learned along the way, but I’ll be introducing you to guests that have way cooler stories than I do! We’ll also be chatting about new ventures, side projects, and what’s to come. And last, but certainly not least: Wellness & Spirituality. As of late, this is where a lot of my passions lie. Mental health, healthy living, self-development, self-care, you get the idea. But consider yourself warned: there may be a healthy dose of “woo” from time to time. Think: listening to your intuition, law of attraction, manifesting, the power of positive thinking, etc. I’d love for you to take a listen, subscribe, and leave a nice rating or review if you enjoy it! 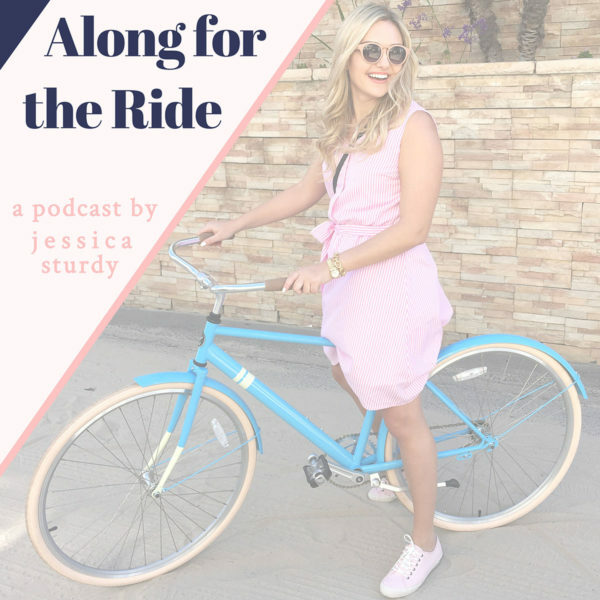 You can find Along for the Ride on Apple Podcasts and Spotify! I love podcasts! I can’t wait to listen! I am living for this! CAN. NOT. WAIT! Wow, Jessica, congratulations! This is an accomplishment and so happy for you. I can’t to listen to it and my favorite number is 13! I hope you are having a great week so far and happy mid-week! I’ve listened to them all and I really enjoyed hearing about the joys and stresses of making money (or not) through blogging. It’s interesting to hear “how the sausage is made” since most of us listeners are trying to make a living in our own way. It was so relatable to hear about how you fell behind but you are getting your hustle back. Inspiring. Love your podcast. Cracked up at work when you were talking about how you were sick in Japan and you said you were taking 3x the amount of medicine because you were 3x bigger than men in Japan!